DENVER — A First Alert Action Day is now in effect through Wednesday morning for cold temperatures and a light mix of rain and snow. A FREEZE WARNING is in effect for Denver and the northeast plains of Colorado for tonight through 10 AM Wednesday. A chilly air-mass covers Colorado and will keep temperatures well below normal for the next couple of days. Readings held in the upper 30s over the Metro area and across the eastern plains during Monday and will drop to around 30 to 32 degrees by Tuesday morning. The best advice for your sprinkler system is to turn off the water feed to the system and cover the exposed pipes on the side of the house with an old blanket. The ground is warm enough to keep the underground pipes from being damaged, but covering the exposed pipes is a good idea. With the recent rain, it is okay to shut down your system and have it professionally winterized. Cloudy skies, drizzle and fog will mix with some light snow tonight for elevations above 5,000 feet. Amounts in the Denver area and across the plains should stay light and the roads will just be wet through the Tuesday morning commute. 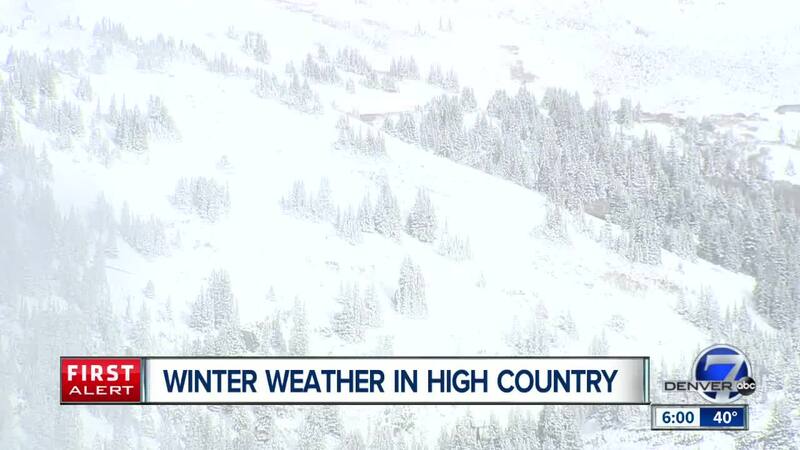 In the mountains, a few inches of snow will fall tonight. Higher mountains areas above 10,000 feet have already had 3 to 6 inches of snow and may pick up another 1 to 2 inches of snow overnight. 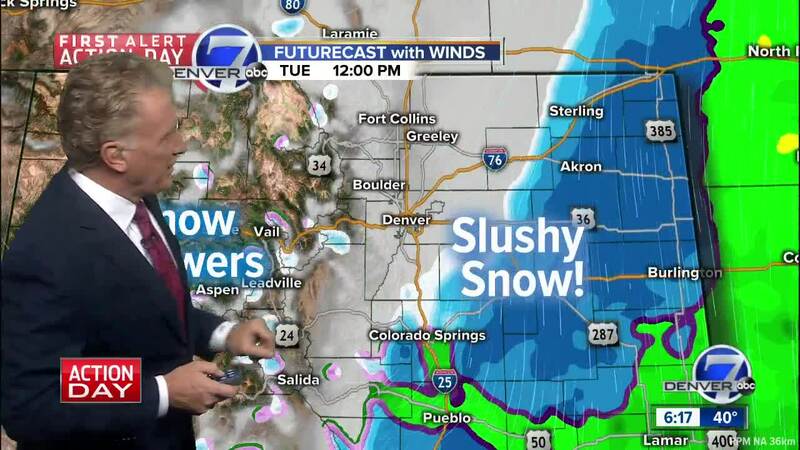 In the Denver area and along I-25, expect cloudy and cold conditions with a mix of light rain and snow, but no accumulation is likely on Tuesday. West of the Continental Divide, partly cloudy skies can be expected with scattered rain and snow showers. Temperatures will be in the 40s in the mountains and 50s in the Grand Junction area. Temperatures will begin to moderate by tend of the week. Expect highs in the low 50s on Thursday and nad around 60 degrees on Friday.